Steam cleaning your home’s carpets periodically can keep your home clean by removing stubborn stains, ground-in dirt and more from the carpet. This method of deep-cleaning your carpet can remove odors from your home and can extend the life of your carpet. While you may want to enjoy the benefits of carpet steam cleaning, you don’t want to contend with the exhausting task of physically steam cleaning your carpets on your own. With our professional steam carpet cleaning service, you can enjoy the benefits of cleaner, fresher carpets without having to deal with the hassles of cleaning your carpets on your own. Despite your best cleaning efforts, your home’s carpeting can look filthy as stubborn stains, signs of foot traffic and more become more pronounced with time. Our professional carpet cleaning service, however, can remove all of the stains, signs of foot traffic and more that are affecting the look of your carpet. Our professionals will handle the entire cleaning process for you. 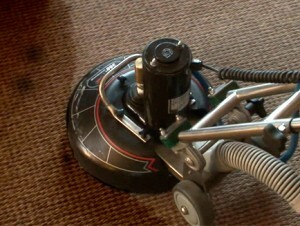 You will not have to worry about moving furniture around or lugging a heavy steam cleaner from room to room. Furthermore, our cleaning method is designed to provide effective results with minimal moisture. This means that you will not have to wait around for hours for your home’s carpeting to dry out. You can easily enjoy all of the benefits of carpet cleaning without the hassles when you call us for steam carpet cleaning services. Contact us now to learn more about our cleaning process and to schedule service for your home.